Hunted the fifth book in the House of Night young adult urban fantasy series by P.C. & Kristen Cast is being releases March 10, 2009. For the past few weeks there have been some teaser YouTube videos for the new book and I have gathered them here for easy viewing along with a new exclusive video of Zooey. 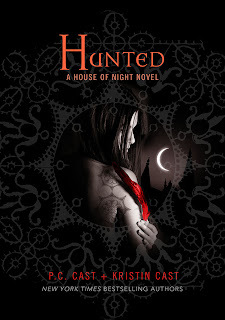 You can also visit the unique House of Night website here. Read the first chapter of Hunted here. Listen to the second chapter of Hunted in audio. Read my review of the previous book Untamed. I wasn't a big fan of the last book, so I hope this one is better. Alice I think a lot of folks were disturbed by the cliffhanger ending. I have a good feeling Hunted will be pretty exciting for Zooey. Ladytink go for it. This is a must read for me. 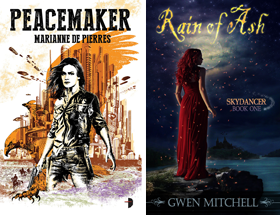 I am so hooked on YA novels.